The aims of the site as well as the manner in which it is managed with regard to the processing of the personal data of users consulting it are described on this page. It is an info memo provided in accordance with the provisions of Article 13 of the European Regulation (EU) 2016/679 (hereinafter GDPR), with which Mastelli srl, in their quality as Data Controller, in the person of their legal representative, inform everyone interacting with www.mastelli.com – home page of the Company’s official web site. This memo is provided only for the website mentioned above, not for any other web sites that may be consulted by the user by means of links envisaged there. This memo is also inspired by Recommendation No. 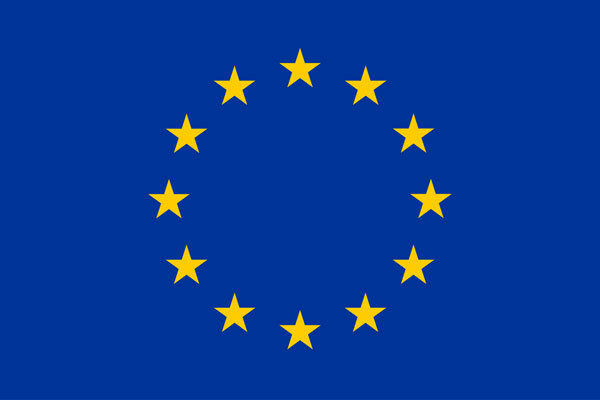 2/2001 adopted on 17th May 2001 by the European Authorities for the protection of personal data, joining forces in the Group established by Article 29 of Directive 95/46/CE. It was adopted in order to identify at least a minimum number of requisites for the on-line collection of personal data, in particular the manner, timing and nature of the information that data controllers have to supply to users linking up to web pages, regardless of the purpose of said connection. Following consultation of this site, data concerning identified or identifiable persons may be processed. The processing connected with the web services of this web site takes place care of the aforesaid Company and are taken care of solely by technical personnel or, if necessary, by persons entrusted with occasional maintenance activities. No data originating from the web service are notified or circulated outside the Company. The personal data provided by users forwarding requests for information are used only in order to carry out the service or the activity requested and are notified to third parties solely in the event that this is necessary for that end. WHAT KINDS OF DATA ARE PROCESSED? While they are being used normally, the IT systems and the software procedures for enabling this web site to function acquire some personal data, the transmission of which is implicit in the use of the Internet communication protocols. The information in question is notcollected for the purpose of associating it with identified persons concerned, however due to its very nature it could, by being processed and associated with data held by third parties, enable users to be identified. The following data belong to this category: the IP addresses or domain names of computers at the disposal of users who link up to the site, URI (Uniform Resource Identifier) addresses of the resources requested, the times of requests, the method used to submit a request to a server, the size of the file received in response, the numerical code indicating the state of the answer from the server (successful, error, etc.) and other parameters relating to the user’s operating system and IT environment. These data are used only for the purpose of obtaining anonymous statistical information about use of the site and to check that it is working properly. The data could be used to investigate liabilities in the event of hypothetical IT offences to the detriment of the site. FOR WHAT ENDS ARE THEY PROCESSED? Users’ personal data are collected in order to enable the Data Controller to provide their own services. IN WHAT MANNER ARE THEY PROCESSED? The personal data are processed with automated tools for the time strictly necessary to fulfil the aims for which they were collected. Specific safety measures are observed in order to prevent the loss of data, illegal or incorrect uses and/or unauthorised access. The optional, explicit and voluntary sending of electronic mail to the addresses indicated on this site entails the subsequent acquisition of the sender’s address, necessary in order to answer the requests, as well as of any other personal data entered in a message. The data entered when registering for newsletters through the site or the despatch of requests by means of a form present on it will be acquired subject to your acceptance of processing of your personal data. Providing data is optional, however refusal to provide them will not allow a relationship to be established with Mastelli srl and will not allow you to take part in the activities for registered users only. Specific summary information memos will be indicated or shown on the pages of the site provided for special services on request. It is pointed out that these data will be kept for and not longer than the period necessary for performing the services provided. DID YOU KNOW THAT PROVIDING YOUR DATA IS OPTIONAL? Apart from what is specified for navigation data, users are free to supply their personal data indicated in the forms, if any, for requesting information. Failure to provide then may make it impossible to obtain what is being requested. WHAT RIGHTS DO THE PARTIES CONCERNED HAVE? The parties to whom the personal data refer are entitled to obtain at any time confirmation of the existence or otherwise of such data and to find out their contents and origin, to investigate whether they are exact or request their integration or up-dating or correction thereof (Articles 15 to 22 of the GDPR). They are entitled to request the data to be cancelled, “forgotten” or transformed into an anonymous form, or to request that processing of data processed against the law be limited, and in any case to oppose processing of the data for legitimate reasons. Such requests should be sent by e-mail to the following address: privacy@mastelli.com , or by ordinary mail to the following address: Mastelli S.R.L. Via Armea, 90 – 18038 Sanremo (IM)- Italy. Cookies are information contained in small text files stored in a user’s Internet browser or hard disk. Cookies enable a user’s device to be identified each time it accesses the site, guaranteeing that the site functions more efficiently, enriching the visiting experience and providing the owners of the site with information. The web site could use Google Adwords and Google Remarketing technology, both of which are managed by Google Inc.
To help us to keep track of the contacts received on the web site, a cookie is added to a user’s computer when that user accesses our site. This cookie lasts for 30 days and does not collect or monitor information able to identify a user personally, whether it is a family, a group of people or adults with children. The users can disable the cookies monitoring the conversions of Google from the settings of their own Internet browser. In some cases, cookies can cause problems at the time of accessing our site or during navigation in your AdWords account. If this happens, the best way to correct the problem is to clear the cache and eliminate the cookies saved for your Internet browser. It is possible to control cookies by changing the preferences of the Internet browser being used. It is possible to accept all the cookies, to accept only some of them or to reject them all. If a user decides to block all the cookies, it might become impossible to access some areas of the site or to use the services offered. Click on “Tools” on the menu bar and select “Internet Options”. Click on the “Privacy” card in the upper part. This site can use Facebook, Twitter, Google, MailUp, Instagram and Youtube social plugins and widgets. These are parts of the page you have visited generated directly by said sites and integrated into the host site. The presence of these plugins entails the sending of cookies from and to sites managed by third parties. Profiling cookies are used to send advertising messages in line with the preferences expressed by the user while web-browsing. To use profiling cookies, consent by the party concerned is required. This data protection policy can be consulted automatically by the most recent browsers. In any case, please inform us of any difficulties encountered when viewing this policy so that it will be possible, if necessary, to make arrangements with alternative means.